Here’s noted US historian Timothy Snyder’s excellent dissection of what a Donald Trump victory in forthcoming presidential elections would mean for US-Russian relations – and a whole lot more besides. 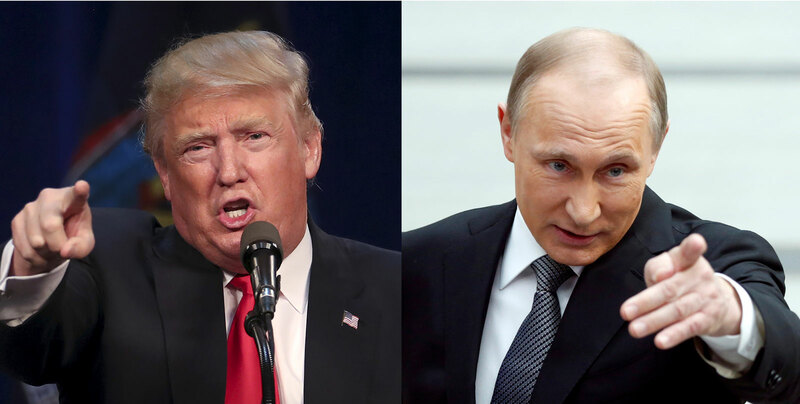 Donald Trump in Syracuse, New York, April 16, 2016; Vladimir Putin in Moscow, Russia, April 14, 2016. Carlo Allegri/Reuters; Maxim Shemetov/Reuters.